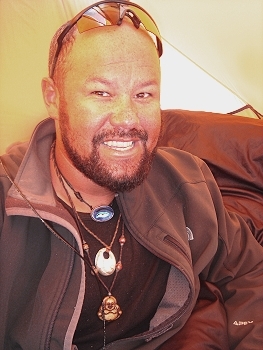 Size: 7/8" x 1 1/2"
The remarks below were written in early 2008 and give a glimpse of what Phill Michael was like and why we developed our amulet project to support his Seven Summits expeditions and his other projects. 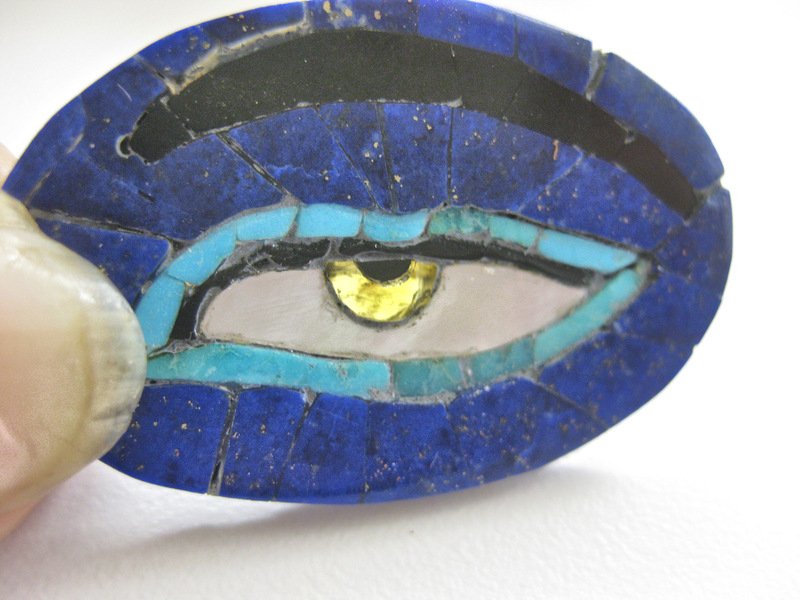 If you followed his blog, you know that in the last few years of his life he conceived and began development of the Sherpa School, and we expected to offer these Buddha Eye amulets in support of the School. At this writing the fate of that project is uncertain due to Phill's untimely death. For those of you who are wondering what I've been doing for the last two months, well... here it is. Two small amulets. You expected more? If you've ever done inlay perhaps you'll understand! Each one has between 45 and 50 pieces of stone, each little teensy piece has at least one or two curved edges. 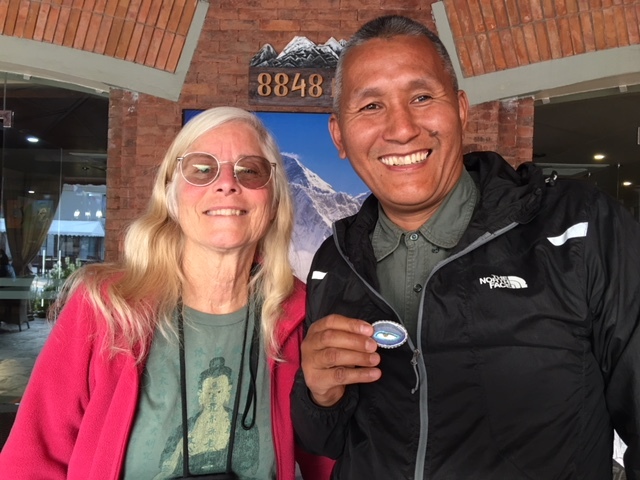 These amulets were made for Phill Michael, leader of the Secret Spot Seven Summits Expeditions and Ang Dawa Sherpa (check out their photos with amulets below). Each represents an eye of the Buddha. Phill ordered the dark lapis background because it reminded him of the sky above Mt. Everest. On the back are the footprints of the Buddha (Buddhapada) overlaid on reticulating silver which crinkles up to look like rough terrain. There is a representation of the wheel (dharmachakra) on each footprint. Many of the Secret Spot Seven Summit expeditions, such as the traverse of Mt. Everest, will be minimalist climbs. 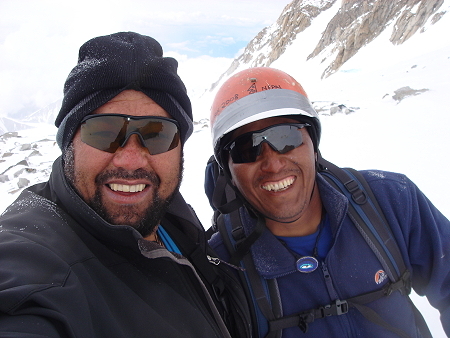 Any summit attempt on these extraordinarily high peaks requires a support team, but the actual traverse will likely be accomplished by Phill and Dawa alone. To accomplish such feats requires that the pair balance and support each other like two eyes working together to perceive the world. Using the Buddha's eyes includes the biological metaphor but symbolically adds the spiritual dimension. 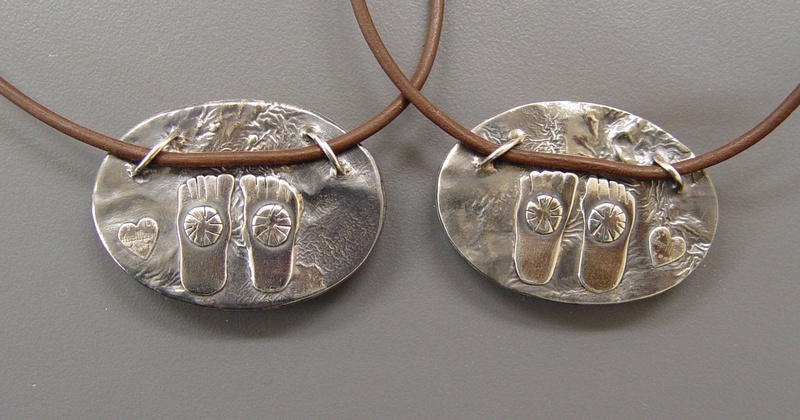 They wear the amulets to reflect the bond that joins them as high altitude climbing partners who literally hold each other's lives in their hands. 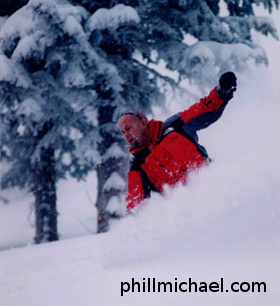 Phill is an accomplished outdoorsman who regularly leads trips and expeditions to the four corners of our little blue planet, to the depths of the sea and the highest summits. Phill is climbing the "seven summits" (the highest mountain on each continent) to bring attention to the incredible scientific and medical advances that can improve and restore quality of life. He considers the ability to pursue one's dreams to be true freedom and a privilege, a gift to be cherished. By living his life to the fullest, leading trips, climbing the highest peaks and documenting his adventures, he hopes to encourage others to expand their horizons, set the highest goals for themselves and not impose imaginary limitations on their potentiality. 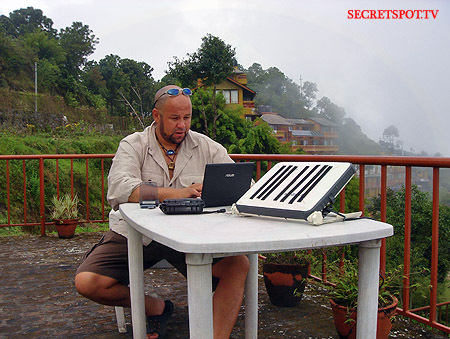 If you had visited his Secret Spot portal you would have found an astonishing array of video and still images on his Secret Spot TV site, his Baja site (where you might even find me! ), his blog and all the rest. It's hard to believe one person has travelled to all these places, and even more impressive when you realize that just a few years ago he needed an artificial heart valve to repair a congenital defect. Major cardiac surgery hasn't slowed Phill down a bit, in fact it has enabled him to continue his passionate exploration of remote areas, sometimes under severe conditions. It was just such a trek that prompted the U.S. Department of the Interior to grant him their Citizen's Award for Bravery in 2008. Turns out they had to talk Phill into accepting the award (he didn't think he did anything unusual) by explaining to him that the publicity surrounding the award would help to educate the public about the dangers of Mt. Rainier and help prevent the tragedies that occur there when folks venture onto the mountain without adequate equipment or experience. Whew, are you back from that thrilling adventure? If so, we should talk about the stones in the amulets. Simmons and Ahsian agree that lapis lazuli activates psychic abilities. Ahsian notes "pyrite inclusions assist in acting upon one's highest ideals and one's visions." She also indicates that in the physical realm, turquoise helps oxygenate the blood and increase the amount of prana in the physical body. Kunz mentions that turquoise has long been thought to protect against falls. Simmons mentions that jet is a grounding and purifying stone, it assists the will in directing energy. Amber, as a form of solidified sunlight, brings warmth. These stones appear to be ideal for mountain climbing expeditions. If you would like to have an amulet, please contact me. Dude, we miss you! Godspeed. Phill Michael and Ang Dawa Sherpa at 13,000 ft on Denali's West Buttress. Phill staying connected via his beloved BGAN satellite terminal.